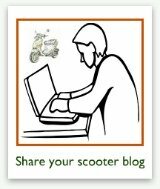 On this page, you'll find our scooter repair questions archives, containing questions that past visitors to the site have asked concerning issues with how their scooters run. 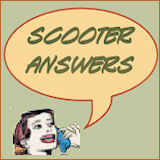 Click below to see past questions and answers regarding issues about scooters that don't run as they should. Why is my Bashan 150 Racer scooter stalling? What can I do to get my used Genuine Buddy 125cc scooter to go up to speed? Why does my XY260t scooter stop running every time I stop? 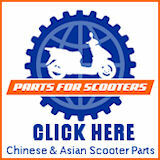 Why won't my Kymco People 150 scooter stay running? Why is my scooter only running for a short amount of time? Why won't my scooter keep running? Why does my Zuma scooter not run right? Why can I not get any acceleration from my scooter? Why does my scooter slowly stop running? Why does scooter die after full throttle for a minute or two? Why does my Honda Elite stop running shortly after I start it? Why does my moped start and then dies even when I pull on throttle? Why is my scooter running slow? 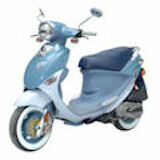 Why does my Piaggio run until i stop at a junction then just idles? 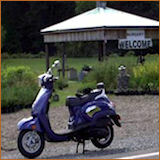 Why does my 50cc Peace scooter bog down when I give it gas? Can you explain why/where to look when a Xingyue Xy260T-4 loses top speed? Why is my Buddy 150 scooter crapping out around town? Why does my scooter start, but stall almost immediately? Is this normal during the scooter break in period? Why does my scooter bog when I turn the clutch all the way? Why won't my scooter start and idle? Why does my scooter run fine, but then suddenly dies? Why does my scooter cut off and not crank? Why won't my Tank 150cc scooter stay running? Why can't I keep my Buddy scooter running after it starts? Can you help me figure out why I can't keep my scooter running? Can anyone tell me why I am having trouble keeping my Xingyue scooter running? Any idea why my Keeway won't keep running? Why is my scooter bogging down? Why does my scooter stop when trying to rev? Why does my 4 stroke scooter stop running after riding a few minutes? Why is my Genuine Buddy 50cc bogging down with a steady open throttle? Why does my scooter start, but then dies out? Any idea why my brand new Peace scooter dies when I give it gas? How do I increase back pressure on a 50cc scooter? How do you get air in the gas line out on a scooter? I have an XG-470 extreme scooter that won't stay running. It's brand new. I think there is air in the gas line. Anyone know how I can get it out? Why would my scooter be revving up by itself? Why does my scooter cut out when at a complete stop? Can anyone tell me why my 150 scooter cuts out while riding it? Why is my Xingyue XY260 cutting out or stalling when taking off? What could be keeping my Aero Diamo scooter from running properly? Can you help with my 50cc TGB 302 sport cutting out problem? Any idea why my scooter keeps stopping? Why does my scooter start/run but not go anywhere? Why won't my Honda Silver wing scooter "shift" when cold? Why won't my Kymco KB 50 scooter run above idle? Any idea why my Yamaha Jog scooter won't move after starting? Is it normal for a Tomos Nitro to buck and jerk like this? Why is my LML scooter 150cc runnning so rough? I have put premium petrol in my scooter and its running very rough. Is that common? Or is there another cause? Any Ideas on Why I Have a Loss of Power After Start Up? Can anyone help with idle circuit on a 1987 Honda 50 nq?